First, of course, I want to thank Anne for being here: thanks, Anne! Tell us a bit about the many allusions to other children's books and classics sprinkled throughout Breadcrumbs. What is the significance of these particular works, both for you as a reader and a writer, and for Hazel? And I think kids interact with books in a more intimate way—they reread so many times and know the characters and worlds so well that the books really become part of their own experience. And they provide easy ways to relate to and process the world—so an unimaginative teacher seems like she's come from Camazotz, a dilapidated house is a Shrieking Shack, and a depressed woman looks like someone's severed her daemon. I wanted Hazel to go into the fantasy world thinking she understood how itwould work—that she'd read Narnia, A Wrinkle in Time, Phantom Tollbooth, and knew how to traverse a fantasy land. She would be seduced by fairy tales and fantasy novel, by the clear path a quest narrative sets you on. At the same time, I think the fact that she's a reader ultimately saves her—she can step back and see the wholes of things, see the seduction and manipulation for what it is. Why The Snow Queen? What made you want to tackle this tale and how did you approach interpreting it and making it your own? I read "The Snow Queen" at a time when I felt very stuck in my writing. And I was struck by this story of a girl whose best friend changes overnight for (seemingly) no reason. In the real world, your best friend might suddenly be mean to you for no reason, but in a fairy tale there's a magical cause—and when you lose a friend, getting him back is as simple a matter as rescuing him. I knew I wanted to make this a contemporary story—one where the fairy tale world slowly intrudes on a very real one. I wanted to set it in a Minneapolis winter—which seemed an excellent place for the Snow Queen to want to visit. The fairy tale provided the basic arc of the story—boy and girl are best friends, boy gets magic mirror in his eye and changes overnight, boy disappears with the Snow Queen, girl goes after him. This was the skeleton of the story, but the flesh and body and heart of it would have to come from Hazel and Jack, these two normal, contemporary fifth graders. And while in the story, Gerda and Kai are ultimately allowed to live in a fairy tale, happily-ever-after—I wanted it to be the fairy tale's invasion of the contemporary world that Hazel and Jack eventually had to defeat. One of the things I like best about the book is the intertwining of real-world issues (Jack's mom's depression, Hazel's Otherness, etc.) into familiar fairy tale tropes, and the way these relatable, very common things and emotions slowly bleed into to the less-common, more fantastic elements of the story; tell us a bit about how the two (real world and fairy tale) influence each other, the layering that is done, etc. One of the things I love about fantasy is that it gives you the ability to manifest a character's internal struggles externally. It's all one big metaphor made flesh (or in the case of something like Tock in The Phantom Tollbooth, fur.) The fairy tale world in Breadcrumbs is really about people driven so mad by the real world that they try to bleed metaphors for magic—skinning swans to steal their beauty, turning girls into birds and flowers to preserve them. The real-world issues are the sort of things people have to deal with and adjust to everyday—living in the world, loving other people, invites the possibility of pain. But of course it allows great joy too—with one goes another. The people who've become lost in the fantasy world are giving up the real world entirely—the pain of it, but also the happiness. And the Snow Queen, who lives at the end of the fairy tale woods, offers people the chance to numb themselves entirely. The only catch is you'll stay like that forever. It's the manifestation of a real world temptation people face every day, and it's Hazel’s job to see the metaphor for what it is. Can you tell us a bit about the worldbuilding? When I started the book, all I knew is that Hazel would go into the woods after Jack, have some adventures, and end up at the Snow Queen's palace. I didn't have any idea what the woods would be like or what would happen to her there. In the original tale, Gerda's adventures don't have much connection to the broader story, and I didn't see a lot in them I could use. I wanted Hazel's adventures in the woods to push her, challenge her, threaten her, and change her—so when she got to the Snow Queen she would be ready for what awaited her there. So when I got to point in the story where she entered the woods, I decided to populate it with people and events that were, well, Hans Christian Andersen-ish. Some of them come directly from the tales ("The Red Shoes," "The Little Match Girl,") others just borrow ideas and themes from them. I also scattered some images from Norse mythology, because it seemed like the thing to do. There's part of Hazel that's always longed to open up some ordinary-looking door and discover there's a fantasy world behind it. On some level she understands that the heroes of these books go through a lot, but she knows they always came out okay. She can't handle the idea of losing Jack for no reason, but when it becomes apparent that there's magic involved and rescuing to do she understands that she's the one to do it, because that's the way these things work. But in the woods, she finds that things don't work the way they're supposed to, and fairy tales aren't as straightforward as she thinks. Over the course of her journey she's threatened, tempted, heartbroken, nothing works the way it's supposed to, and she loses everything she's come in with. The people she meets in the woods are victims of magic, yes, but they allowed themselves to be lured in in the first place. It's Hazel's job to learn to read stories without being seduced by them. And she has to realize that as much as Jack was taken, he also left—and saving him and getting him back aren't necessarily the same thing. There's a very strange Andersen tale called "The Shadow." A writer wakes up one morning to find his shadow has gone. He grows a new one and doesn't think anything of it, until one morning the old shadow shows up. It's been traveling through the world and thinks his old master has no concept of how evil men can be. The shadow becomes strong and fat while the writer grows sickly, and eventually the shadow makes a deal with the writer—it will take him to a health resort, all expenses paid, if the shadow can pretend to be the writer and the writer will act as its shadow. The writer agrees, they go, and the shadow falls in love with a princess. It convinces her to marry it and commands the writer to live in the palace as a shadow permanently. The writer is horrified and threatens to tell the princess everything, at which point the shadow tells her that his shadow's gone mad and thinks he's a man and should be arrested and put out of his misery. So the shadow marries the princess and the writer is executed. Such is the lot of writers. I think I have to say "The Little Match Girl." The primary action of the story is a destitute girl hallucinating while freezing to death. I wrote a story like this in third grade, and the teacher sent a note home to my mother. I am a witch with voluminous crazy hair who lures children in with fairy tales and then traps them in my narratives. My hut is filled with cats who are dressed in odd outfits. The cats have a variety of deformities, but this does not keep them from looking down on you. Be the pampered princess with everything you ever wanted, but no real significance in life, or the powerful but ostracized witch? Powerful but ostracized witch. One does strive to be interesting. Be kissed awake by Prince Charming or kiss a frog into a prince? The first seems like a rather alarming way to wake up. I'll take my chances with the frog. Eat an entire gingerbread house or the world's largest golden-egg omelet? Oh, the gingerbread house. I am very pro-carb. Thanks so much for being here, Anne! I love the interview and I loved the book! 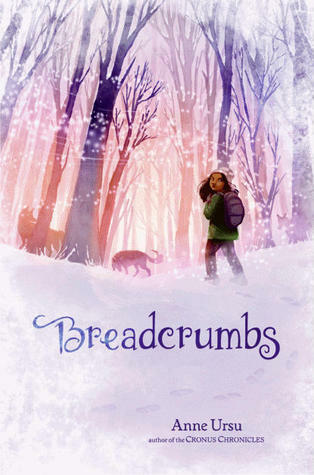 Make sure you stop back by later today for my review of Breadcrumbs!! You're right, Misty: This interview IS fantastic! Thanks for asking so many of the questions that I had myself. 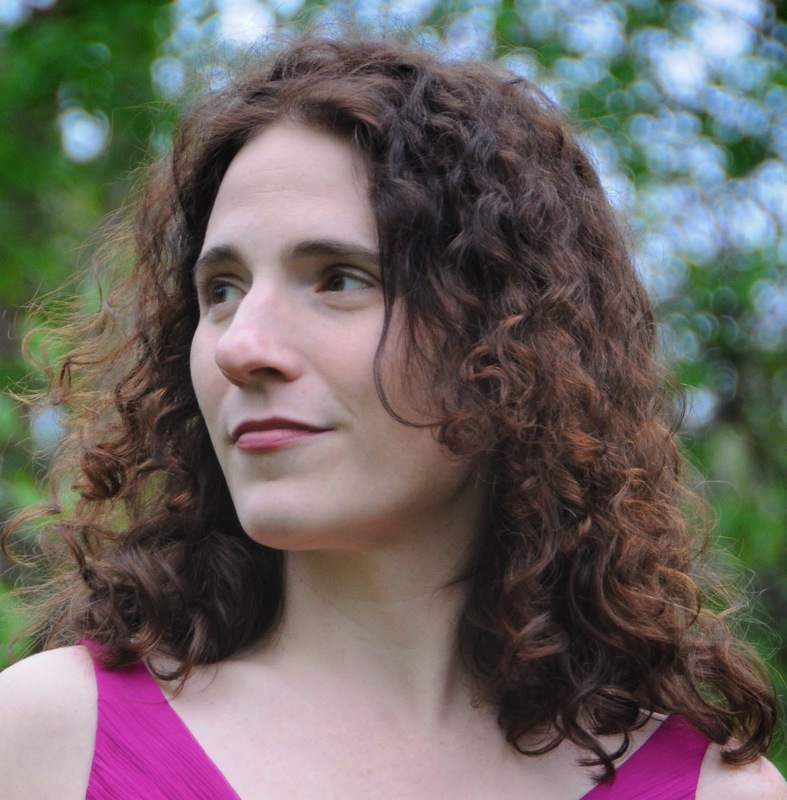 And Anne, thanks for answering them and fleshing out your world so much more. I loved reading this!! This was such a fun interview to read! I LOVE the fairy tale heroine name...haha! I can't wait to check out Breadcrumbs.